Having attractive feet and healthy-looking toenails are important for self-confidence. 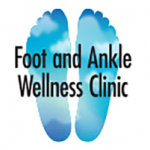 At Foot and Ankle Wellness Clinic in Los Angeles and Glendale, California, Dr. Mancherian offers toenail replacement treatments including the innovate Keryflex system, designed to restore the look of damaged or diseased nails with a flexible resin material that looks like a natural toenail. When toenails are damaged or suffering from a toenail fungus infection, patients can feel embarrassed about the appearance of their feet. Dr. Mancherian offers toenail replacement services to create a smooth and healthy looking artificial nail to cover the damaged toenail. The damage or infection is treated, and the false nail allows the natural nail to grow in underneath. Keryflex is a liquid resin that is applied in layers to create a toenail that looks healthy and normal. The product uses three special solutions – a bonding agent to help ensure the resin bonds with the skin, the resin material itself, and a special sealer to provide added strength and a smooth surface. After application of the materials, a special UV light will be applied to aid in curing the material so it becomes hard and durable. Then, the nail will be carefully shaped and buffed so it looks natural and attractive. Can the nail be removed? Yes, once natural nail growth has been achieved or if the nail needs to be removed for any other reason, it can be professionally removed using special techniques. How often does Keryflex need to be applied to maintain the appearance? Application frequency can vary based on the rate of nail growth, but generally, Keryflex will need to be reapplied every six to eight weeks.